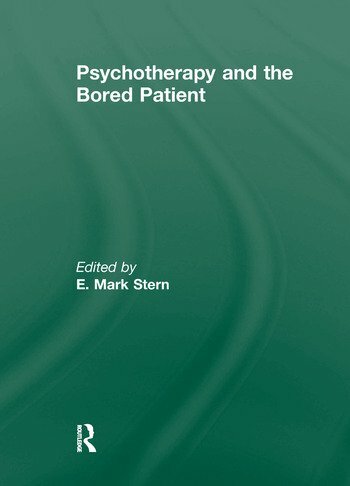 The specific guidelines to the clinical management of the bored or boring patient--offered in this provocative book--will be valuable to all psychotherapists. Contributors discuss the fascinating theories and therapies of boredom--why it is both a necessity and an obstacle to a person’s development. Fresh insights into the meaning of boredom for the patient or the therapist (or both) are presented through the discussion of such topics as the type of person most prone to boredom, boredom as a launching point into other experiences, boredom as a defense against strong affects and drive derivatives, the manifestations of boredom in marital therapy clients, and much more. Client-Therapist Boredom: What Does It Mean and What Do We Do?